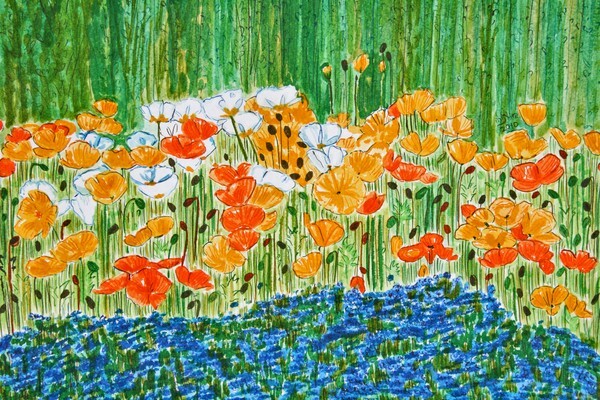 Lovely painting Nira, they look like poppies to me. As light and colorful as the summer ! Awesome color and design. Love it my friend!